This game is available in the Android market and is highly addictive. 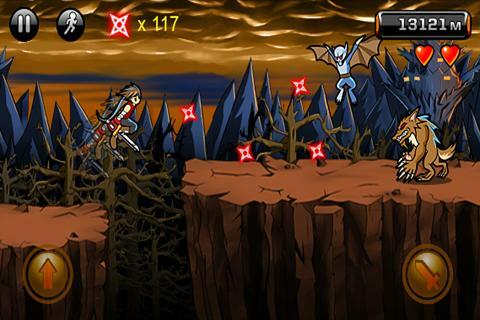 In this fighting game, you need to jump over the cliffs and have to kill the enemies who will come in your way. There is a bat monster on the devil’s land and you have to fight with him to win. You can set the game speed by yourself. Whether you want it to be normal, or fast. Game graphics are also very good. Score as much high as you can as the Leaderboards are also available. The game is available for all Android versions. It costs nothing. Yes, it’s free. Play the drums from your fingertips. The graphics of this app are just awesome and sound effects are amazing, too and these are the two main features that we might want in this app. Let yourself create the drums music. Test your skills how well you can play it. 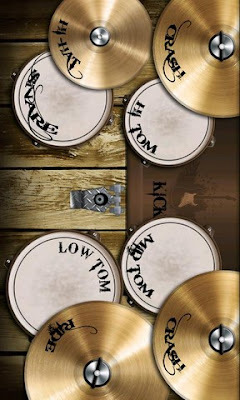 DrumsHD is also available now for tablets. So, the fun is not finished yet. If you have the tablet, you can get the most dramatic experience of playing drums. The app is available for Android 2.1 or higher versions. You can get it for free. You don’t have to pay a penny to install it (except the data charges ofcourse). “Fancy Widgets” 3.0 is available now in the market. There are more widgets styles that are available in this new version. Also you can calculate the moon phase. Multiple location support is also available now. 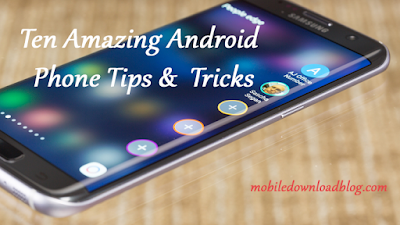 With the help of this app, you will be able to see new styled different widgets. You can have the clock widget with customizable time and date formats. You can have the Geo-Location for weather that will let you know the weather of any city just by typing the name or zip code of it. In the full version, you can get multiple clocks and weather forecasts. You can restore your widget settings. About 400 skins are available for your weather and clock widgets. You can also customize the widgets styles and sizes and there are many more. The app is free to download but if you want all the features, you have to purchase the full version.